Cohen & Cohen, Reigate, Surrey, United Kingdom, 2008 Book. New. Hardcover. 1st Edition. English text; Hardcover (cloth with dust jacket); 25.5 x 32 cm; 2,409 kg; 303 pages with colour illustrations. ; New book kept in card box. ; This book covers the largest and most important collection of Chinese and Export figures currently existing in the world. Collected by James E. Sowell of Dallas, Texas, there are over 170 items including over 50 bird figures, a dozen dogs, and a unique pair of leopards possibly made for the Imperial Summer Palace. It includes a history of the European trade with Canton and contains an informative guide to the dating of many of these pieces, with many pictures of the bases of the figures. 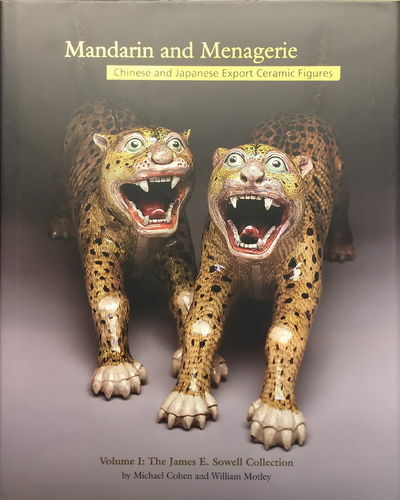 The book catalogues the James E. Sowell collection in detail, arraging the animals according to approximate zoological taxanomic groups and commenting on some of the scientific knowledge available at the time. Traditional theory says that the Chinese potters were simply copying European species and models but the book proposes that, with a few significant exceptions, the resulting porcelain are inspired by Chinese fauna. Mainly consisting of Chinese export figures of the 17th, 18th and early 19th century, there are also a few realted figures from Japanese kilns..